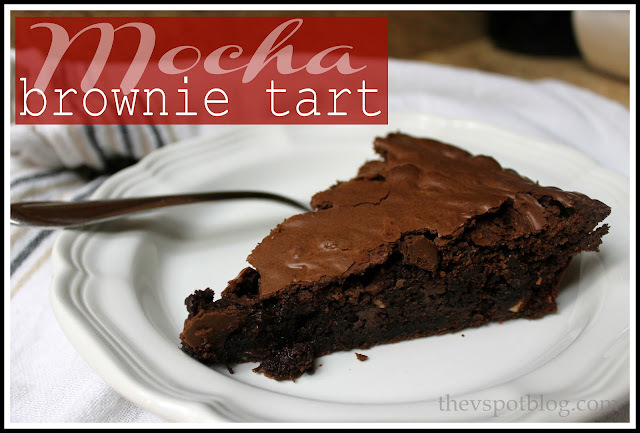 Mocha Brownie Tart – yummy in my tummy. This is really yummy. 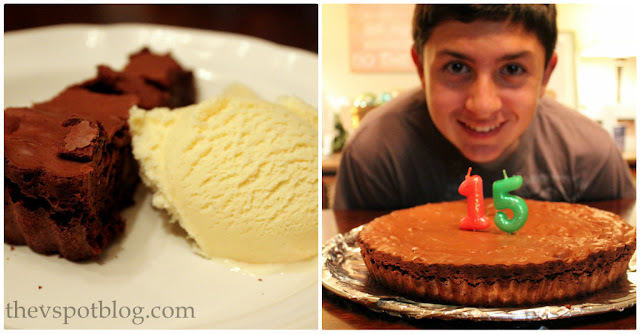 For the past 2 years, Mitch has requested this for his birthday instead of a cake. It’s quite easy to make, too. 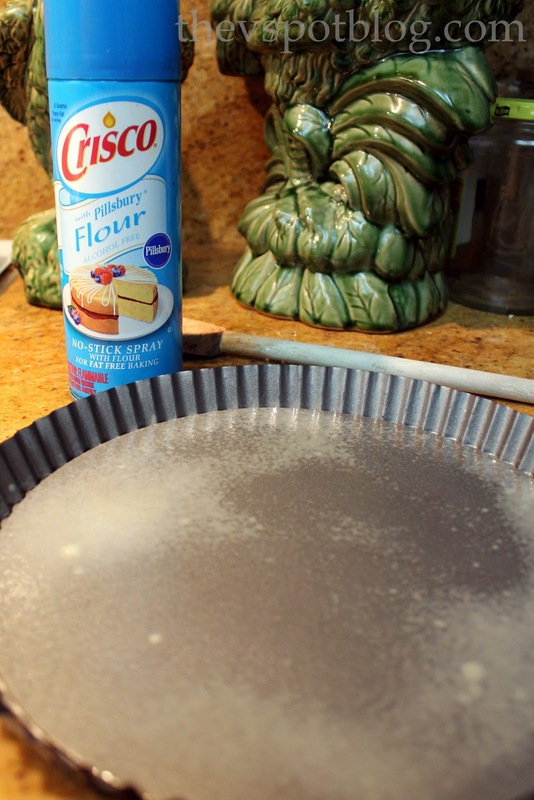 Pre-heat oven to 350 degrees, then grease and flour a 9″ tart pan with removable sides. I make it easy on myself and use a two-in-one baking spray. 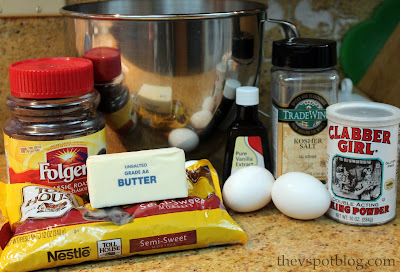 Melt butter in a microwave safe bowl at 30 second intervals. When butter is completely melted, add in the 10 ounces of chocolate chips, stirring until melted. If you need to, go ahead and zap the mixture in the microwave at 10 or 15 second intervals until the chocolate is melted and the mixture is smooth. Let it cool completely. While the chocolate mixture is cooling, mix eggs, sugar, vanilla and coffee at medium speed until it is light and fluffy… about 2 minutes. Add in the chocolate mixture, the dry ingredients, and the remaining chocolate chips and the hazelnuts, stirring until just combined. Layer onto a baking sheet and pop into a 350 degree oven. Don’t go anywhere. Check them and give the pan a shake every 3 minutes or so. When I can smell them cooking, I deem them “roasted” and take them out of the oven. Getting the little papery skins off of them is easy. Back to the tart: Bake for 35 to 40 minutes. The tart will puff up and possibly crack. The center will remain soft and fabulously chocolaty. Give it to your kid… serve with ice cream (or whipped cream)… sit back and say “thank you” when the compliments roll in. Yum, yum, YUM! I’m pinning this–I can just imagine how my guys would go for this! Needless to say, I found this immediately and immediately proceeded to pin. Yum! I just drooled on my keyboard, pinned it and came back to slobber over it a little more! 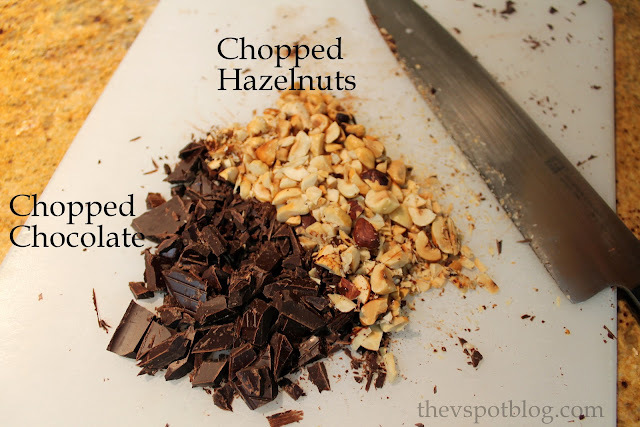 Chocolate hazelnut butter toffee brittle. Yum! Heirloom Pumpkin Bread from Bombshell Bling. Freezing tomato paste: Use what you need and save the rest. The easiest make ahead chicken, ever. Wine marinated Beef Stew, served with a side of Funny. mmm mmm good.